January 1st 2018 started with a nice sunrise and a Song Sparrow scratching leaves in our garden in the dark as I peeked my head outside the door. 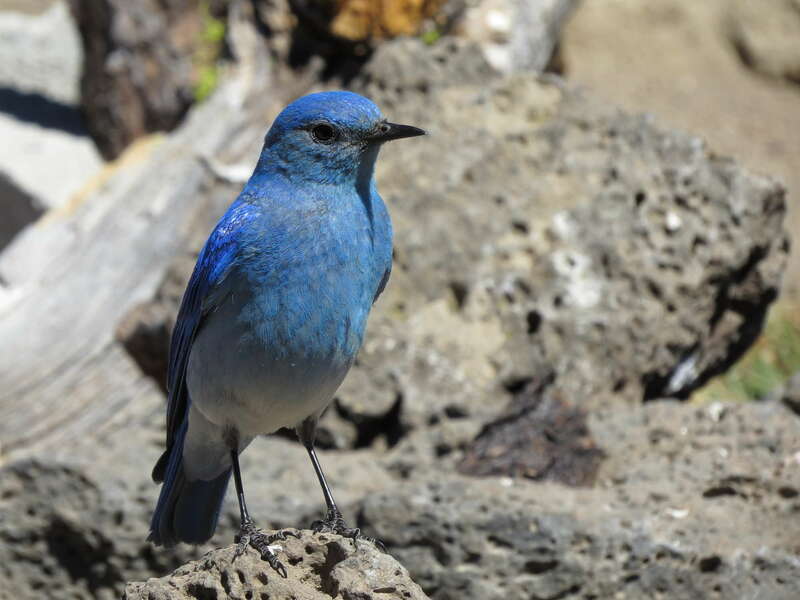 I didn’t mean to bird as hard as I did on day 1, but first of year birding is too exciting. 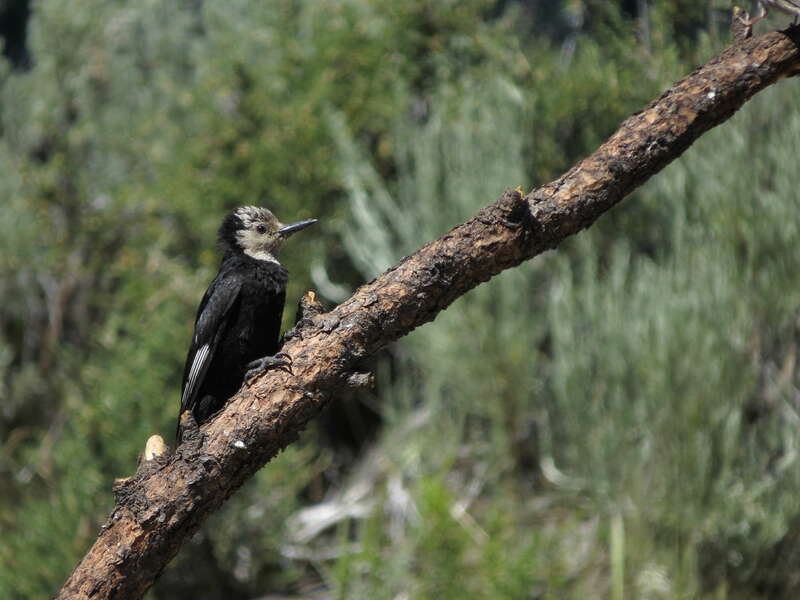 Every bird is new, every one a year bird! The plan was to meet Sarah and Max in the morning and there’d been a report of a Black Scoter at Columbia Point so that seemed like a good place to start. 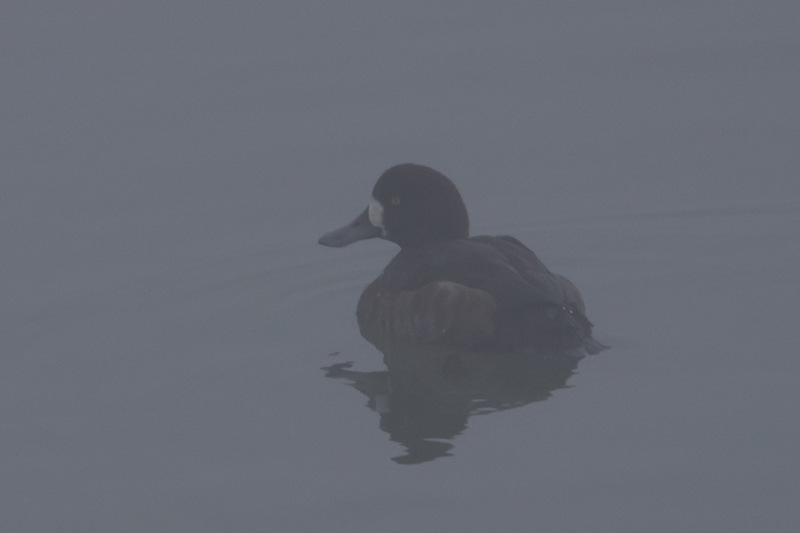 But it turned out to be a terrible place because thick fog made it almost impossible to see any birds on the water. Even still we managed to ID this a Greater Scaup. Plan B was climbing out of the fog to visit Casey’s Virginia’s Warbler sill sticking around and stuffing it’s beak with homemade suet. 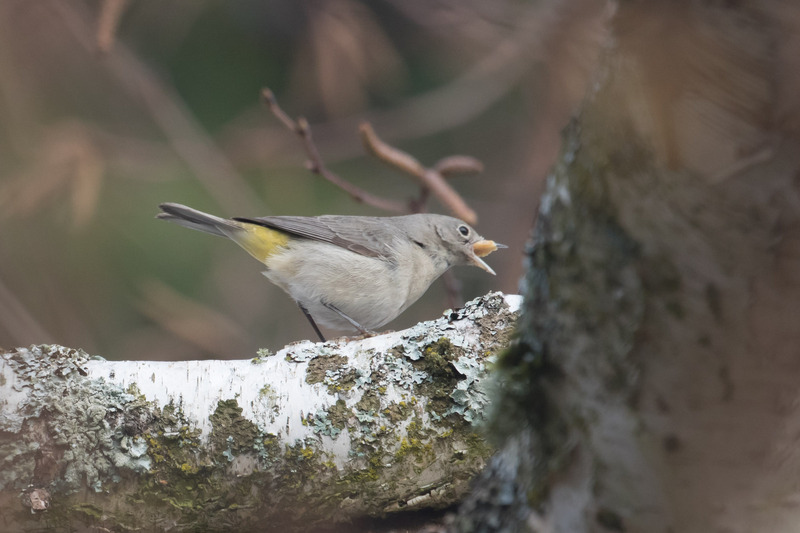 We watched this reliable warbler take a chunk of suet to the ground, smash it like it would a bug, then fly up to a tree to eventually choke it down. 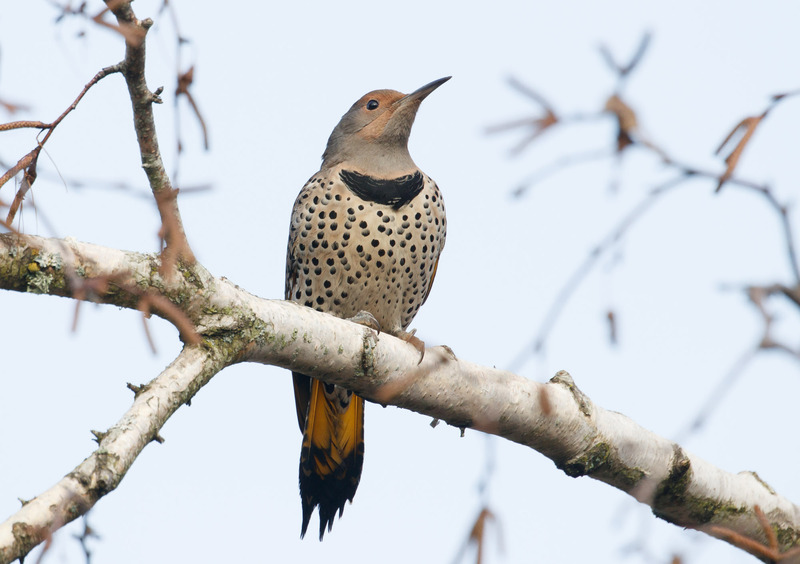 Bonus this time was an yellow-shafted intergrade Northern Flicker, the first one I’ve seen! 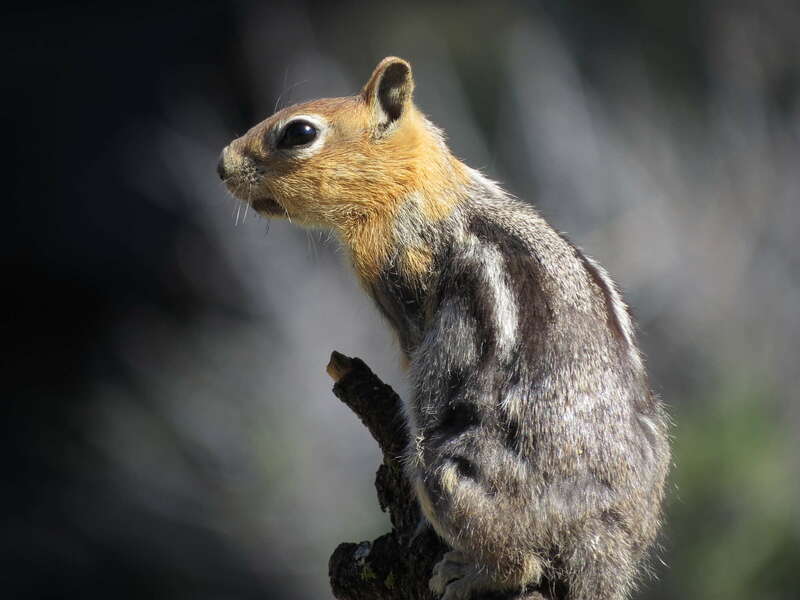 This subspecies is normally found in the east and far north in the northern boreal forest. 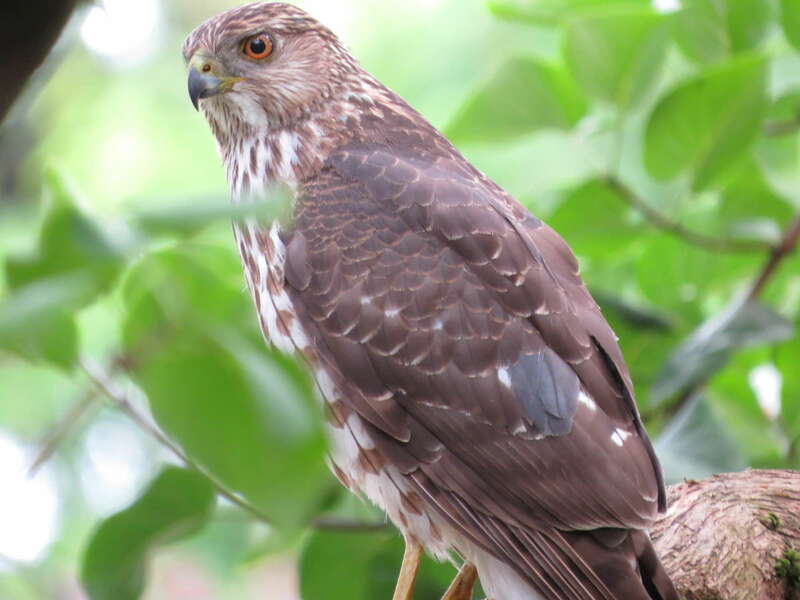 It lacks the red malar (cheek) of the more common Red-shafted, and it has a red crescent on its nape (back of the neck). 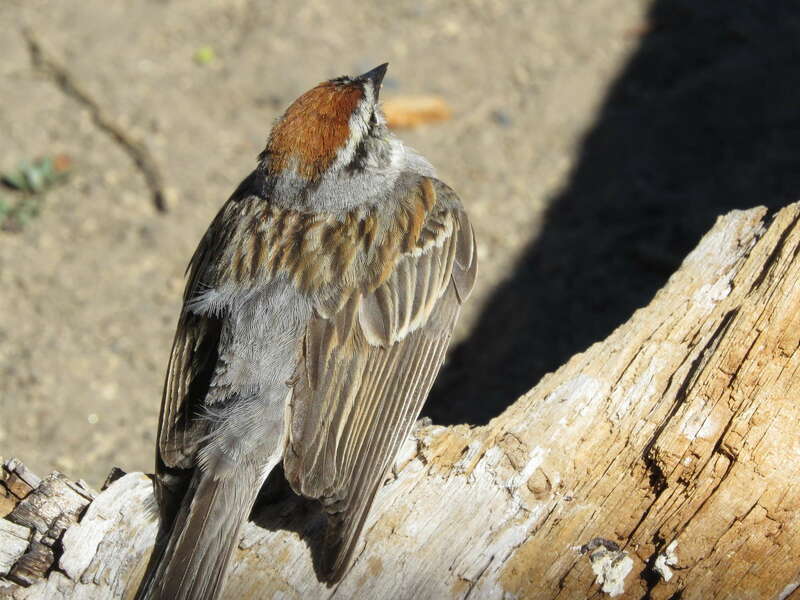 Edited: But this bird has more gray than tan color on its cheeks and throat, eliminating pure yellow-shafted. 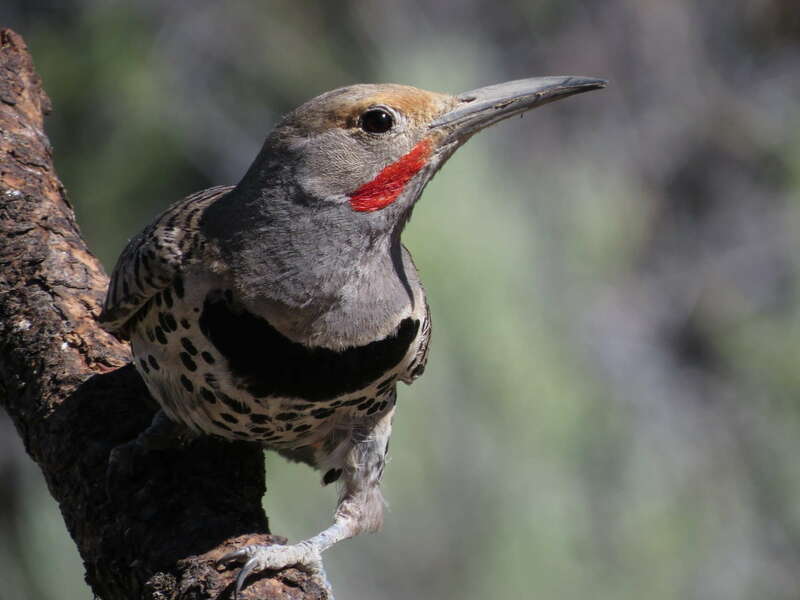 There are also intergrade flickers with features of both to look out for in the Pacific Northwest. I’m going to make more of an attempt to pay attention to flicker features this year. 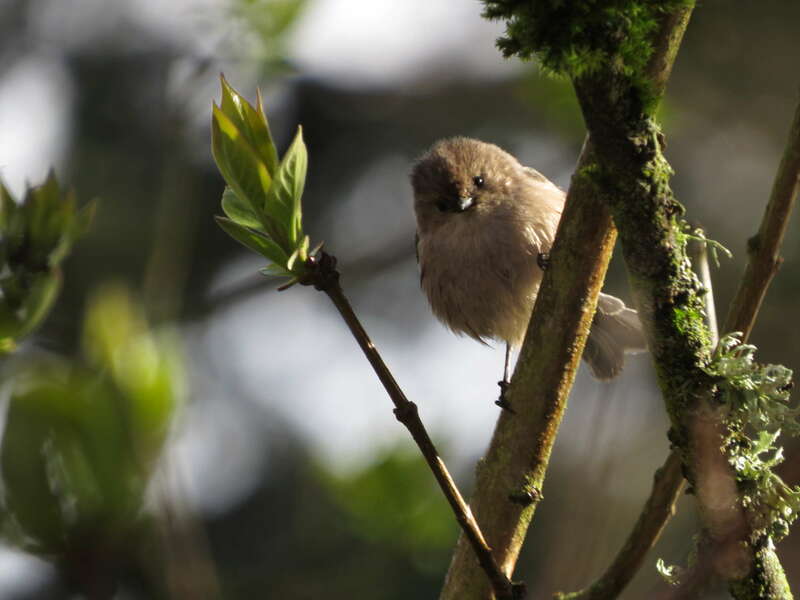 After spending some quality time with Casey’s yellow-bottomed birds we went to Whitaker Ponds for more year birds. 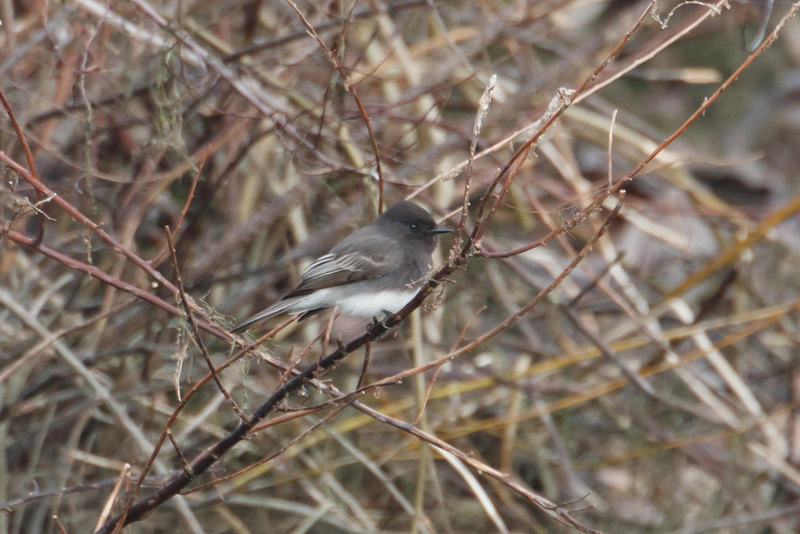 We found 39 species including Townsend’s Warbler and a Black Phoebe vocalizing loudly at the edge of the pond. 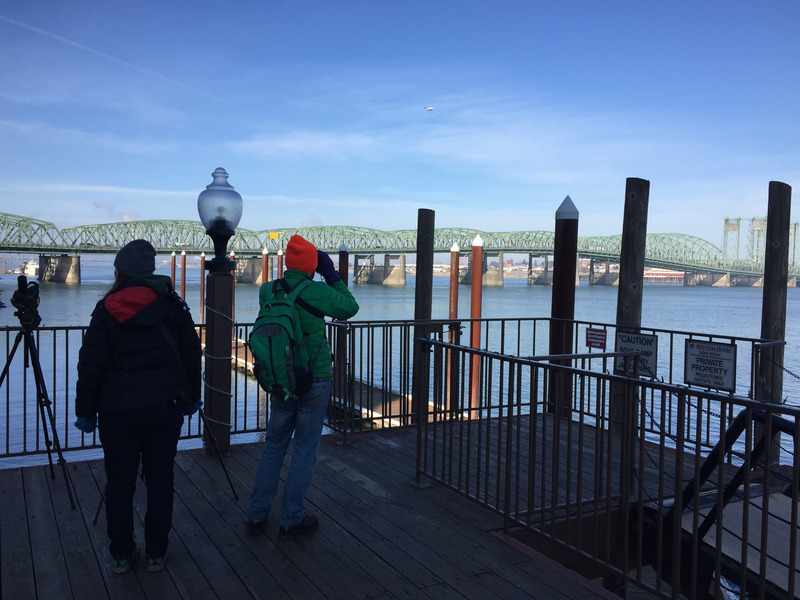 We dipped on the Spotted Sandpiper seen there earlier, but bumped into a new birding friend, Brodie, and his family, also out for New Year’s birding. The sun was shining by then so we felt encouraged to try Columbia Point for a second scoter attempt. 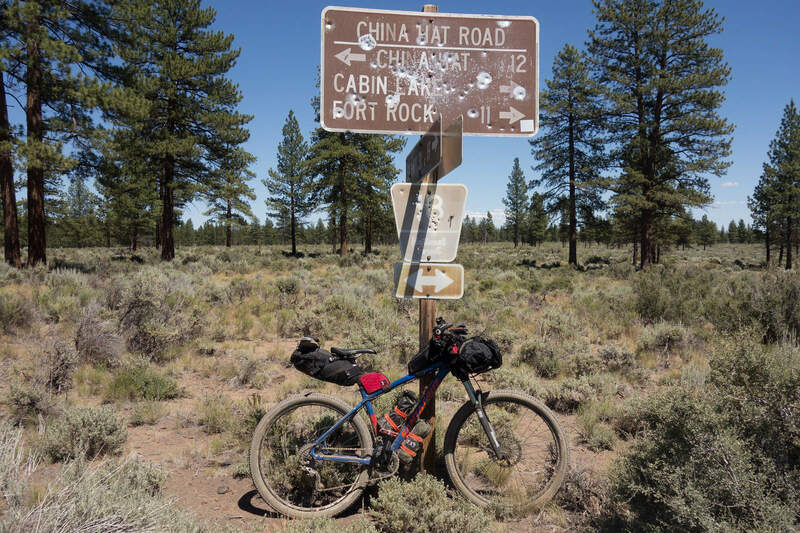 No luck on the scoter, but we did run into Em Scattaregia, her son Chris Hinkle, and Andy Frank, who does the majority of his birding by bike, including on this day. 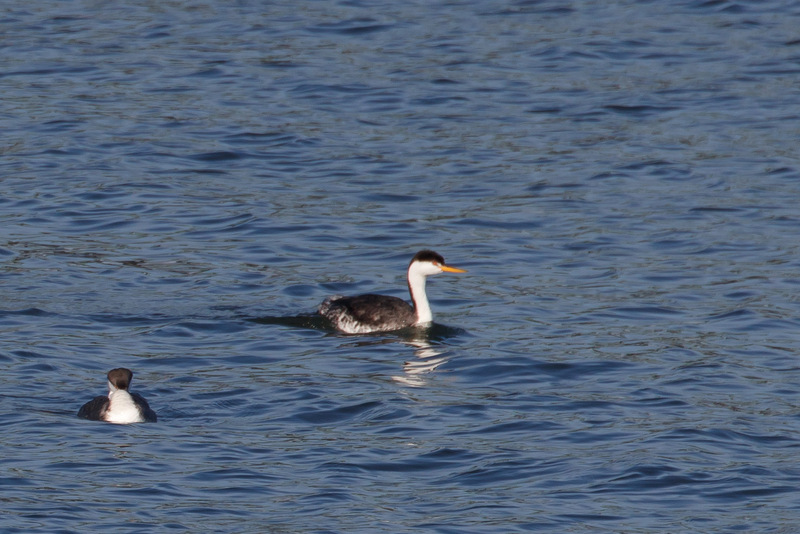 We picked up Horned Grebe, Western Grebe, and one conspicuous Clark’s Grebe; lighter flanks, yellow-orange bill, white on three sides of the eye. 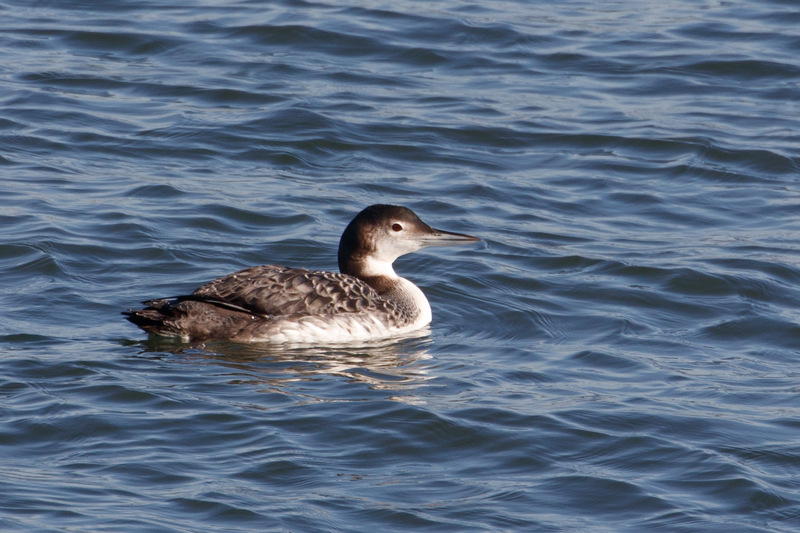 We also saw a distant Red-necked Grebe, but this Common Loon was much more cooperative for photos. 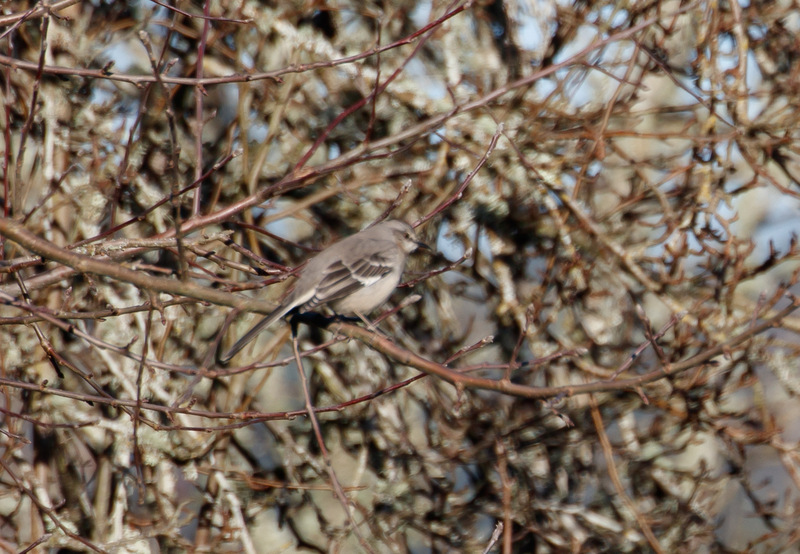 Feeling we’d done our due diligence searching for the scoter we were about to call it a day when Sarah’s birding buddy Dwight texted letting her know he’d found a Northern Mockingbird in her patch. No question what we’d do next. Stop for lunch at Hotlips Pizza, then go for the mockingbird. It was easy. Not really, but it was very lucky. 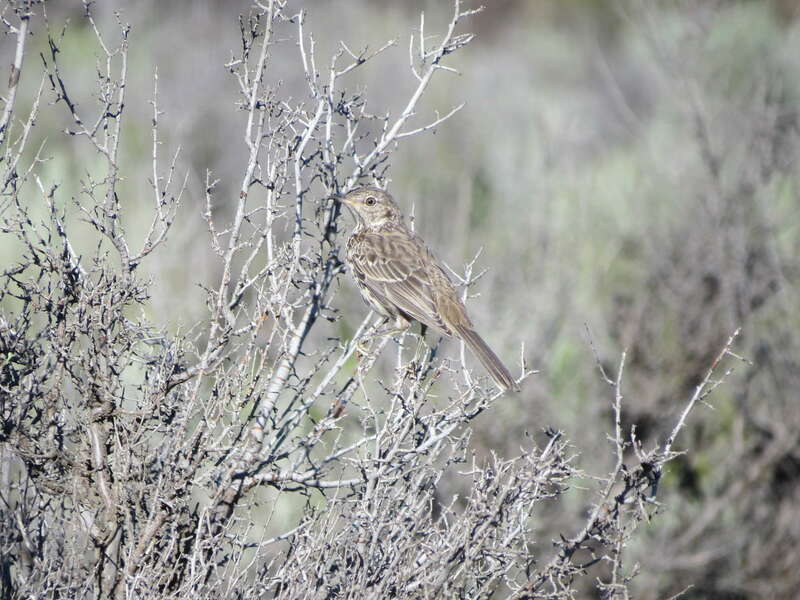 Year bird, county bird, and only the second I’ve seen in Oregon. 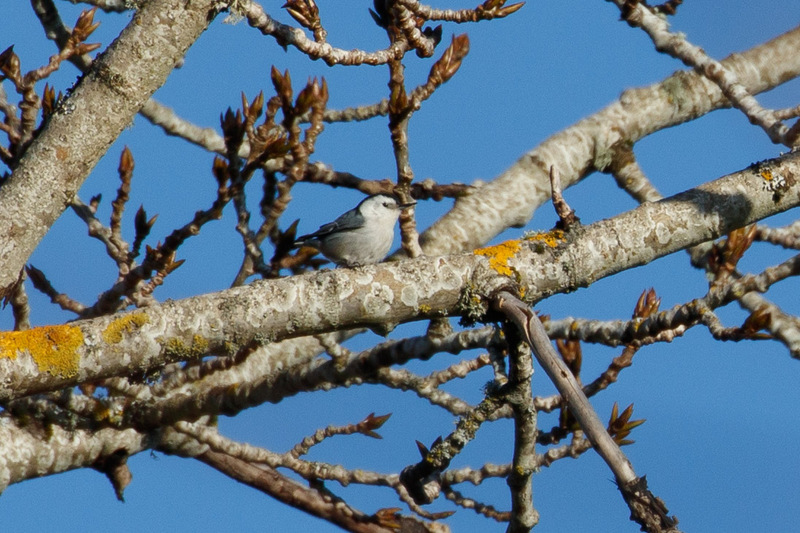 Here we also saw a FOY White-breasted Nuthatch. 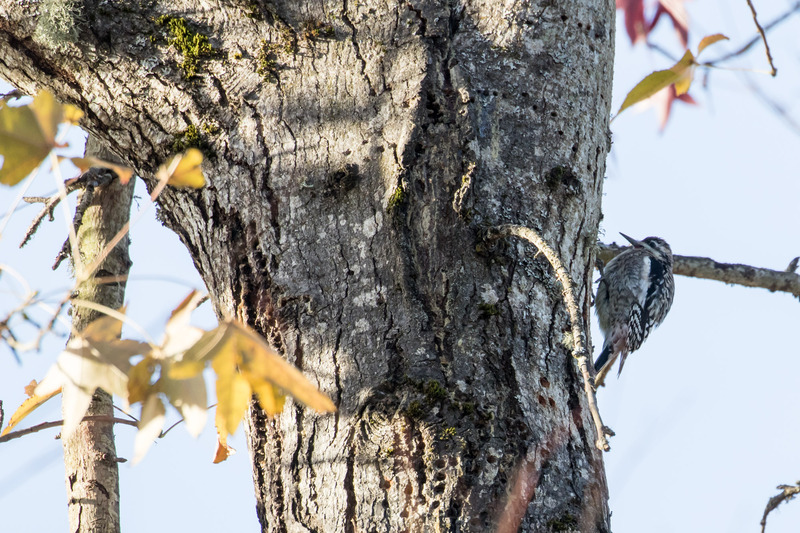 Which reminded me I was in Beaverton and there’d been a rare Yellow-bellied Sapsucker at nearby Commonwealth Lake Park. So I went and found it. 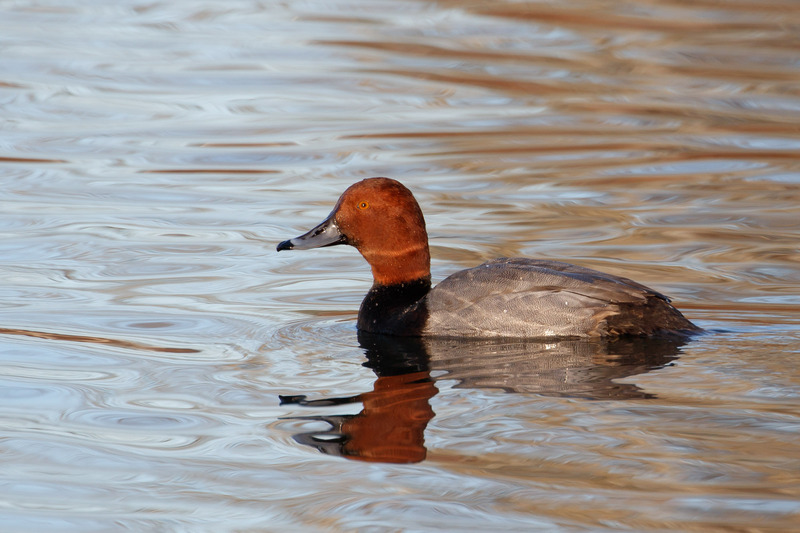 With just enough daylight left I circled the park looking for a male Redhead spotted earlier. I found the Redhead and I also found Scott Carpenter! 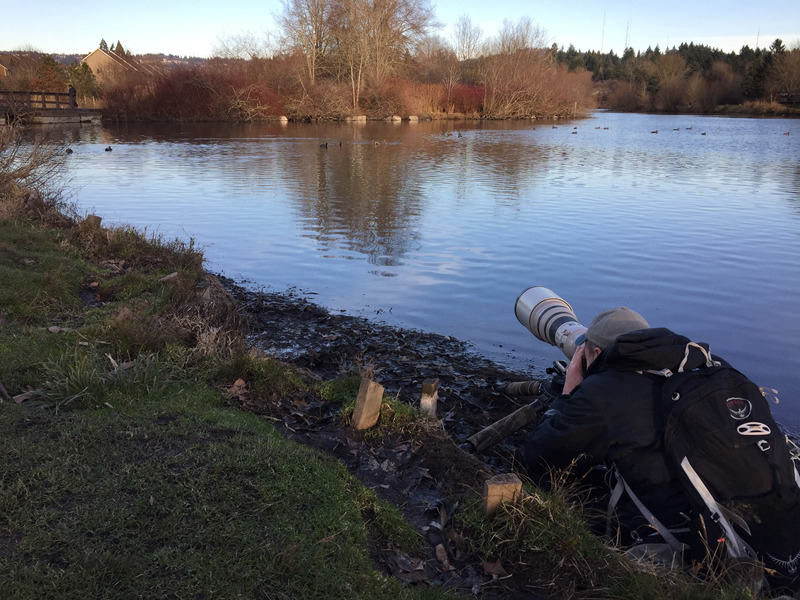 Inspiring as ever, he jumped into the mud to take primo pictures of birds. Nicely done, Scott. Here’s the best I came up with. What a great first day of the year! Starting with a Song Sparrow and ending with a Redhead, I saw 61 species, and had 7 birding-friend cameos throughout the day. Cheers to good friends and to a new year. Not far from Fort Rock State Park there is yet another magical place. I almost don’t want to blog about it (the secret’s out!). But someone told me and I’m grateful. 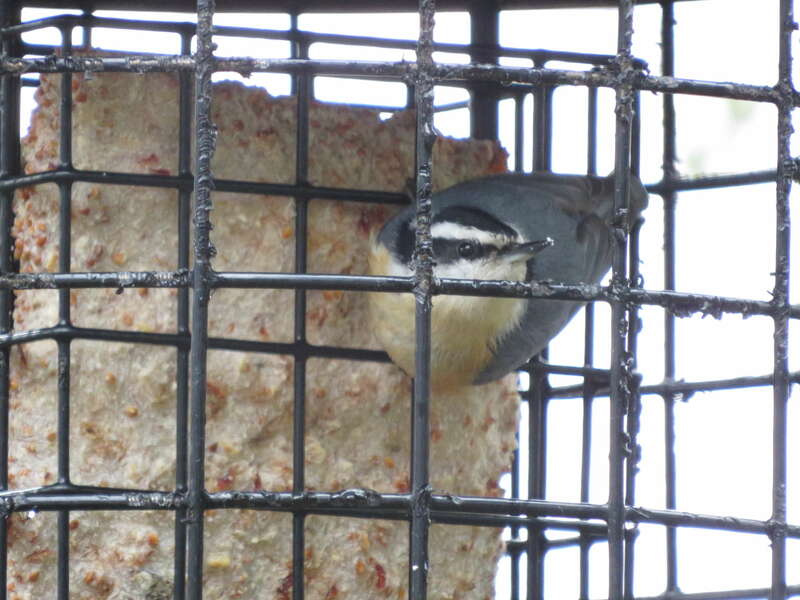 Someone also told me to bring suet. Best advice ever. Before the blinds though, the road from Fort Rock to Cabin Lake deserves mentioning. 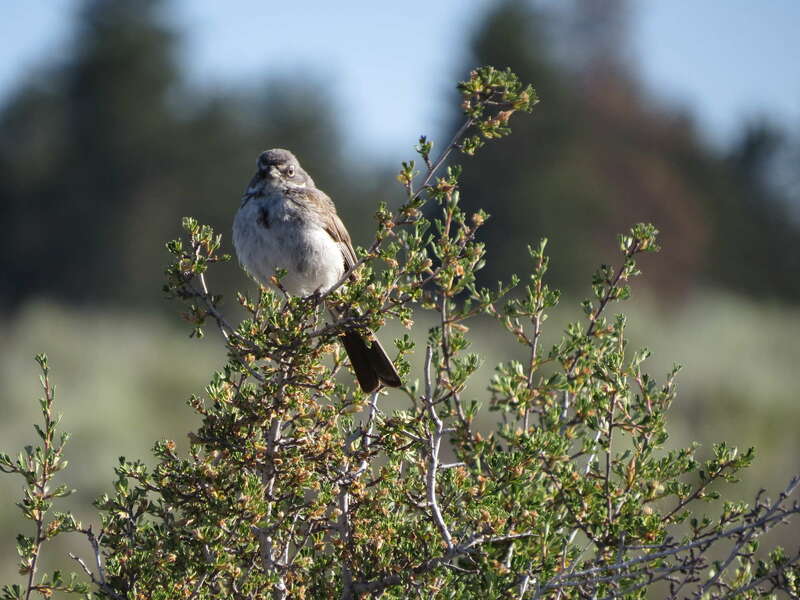 Cabin Lake Rd is nine miles of Ferruginous Hawk, Golden Eagle, Red-tailed Hawk, Bald Eagle, Brewer’s Sparrow, California Quail, Vesper Sparrow, Sage Thrasher, Sagebrush Sparrow, and Loggerhead Shrikes. 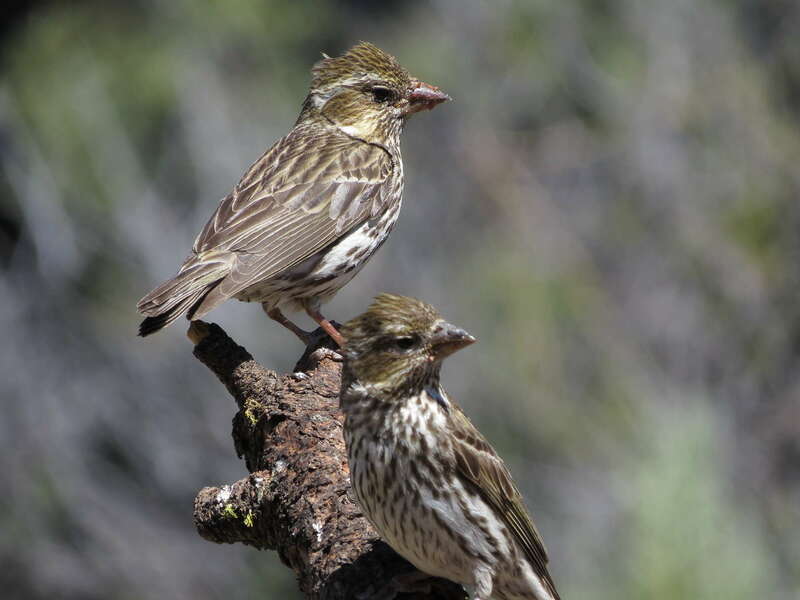 We saw THREE shrikes in a matter of minutes. It was kind of nuts. I didn’t want it to end. But the road leads to something even better. Don’t be fooled. 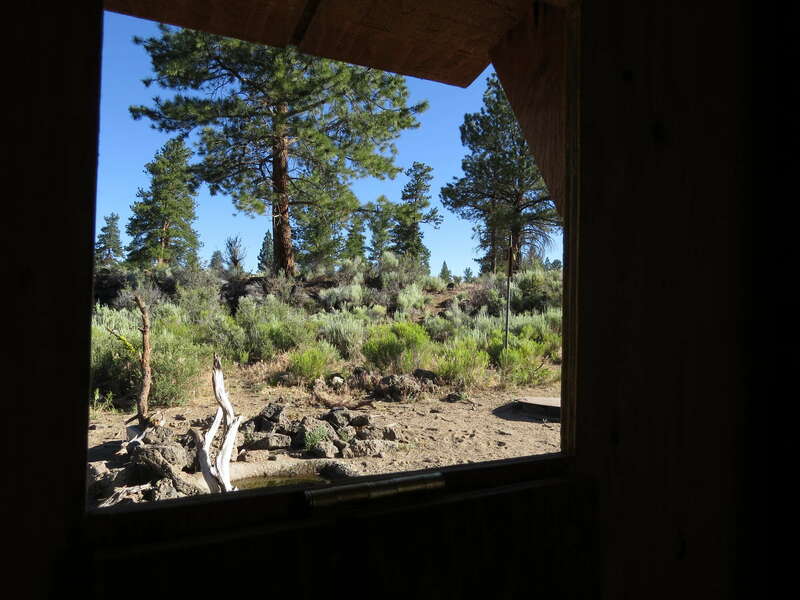 There are no cabins and there is no lake at “Cabin Lake,” but nestled inconspicuously behind a decommissioned guard station, on the border of pine forests and high desert, there are two bird blinds renovated by East Cascades Audubon Society and run by volunteers. They even have their own “Friends of Cabin Lake” Facebook page. 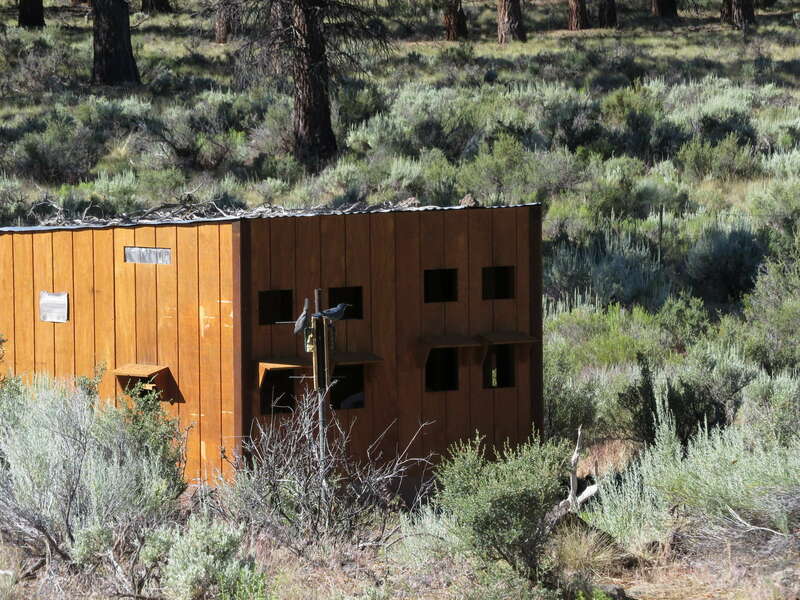 Both sites are equipped with suet feeders and a water source, a true oasis for wildlife in such a dry climate. 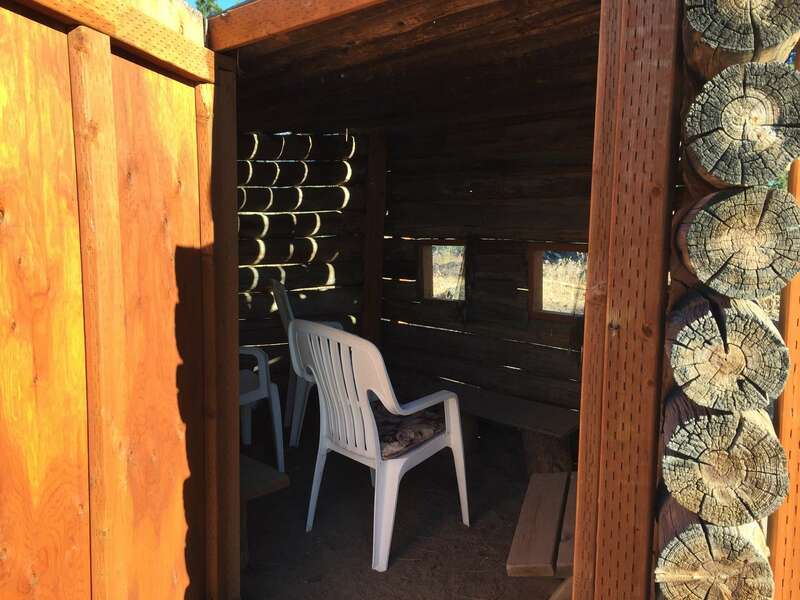 I sat inside and peered out the portals. 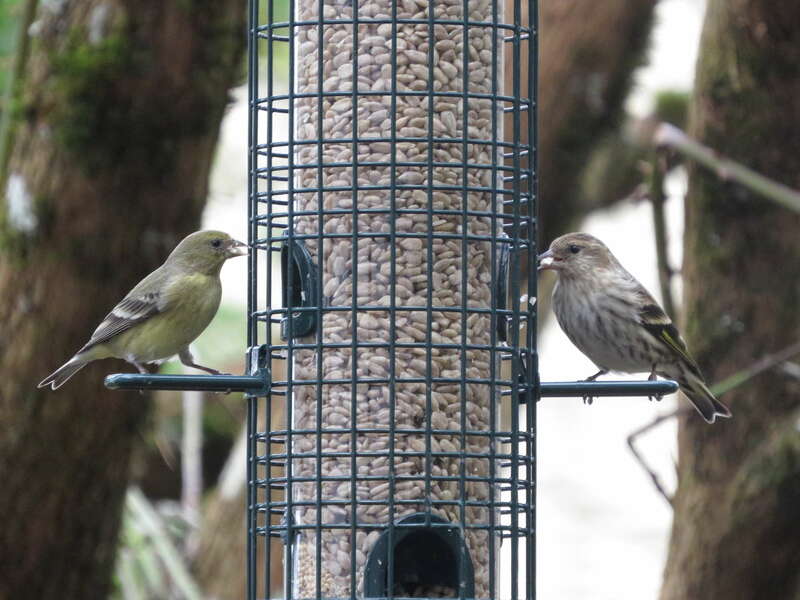 It didn’t take long before the first birds showed up. 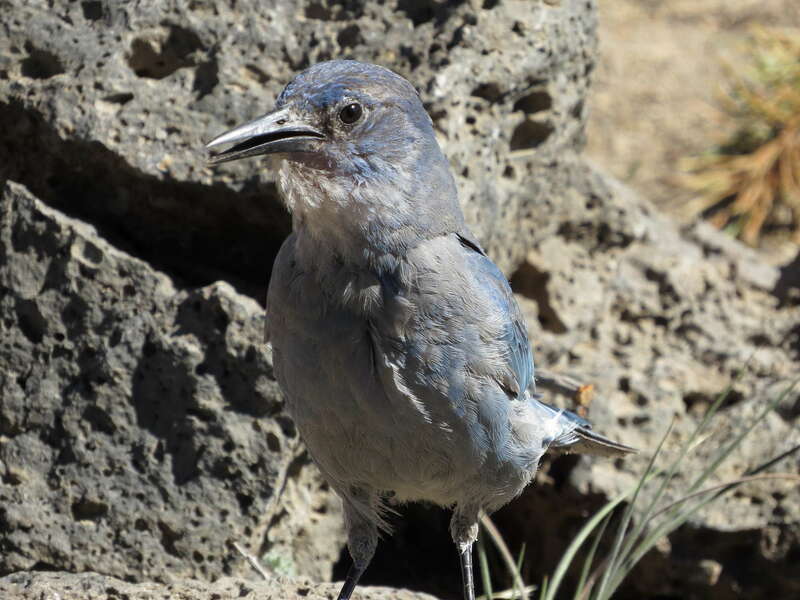 Pinyon Jays, a lifebird! Dang they are a noisy bunch. 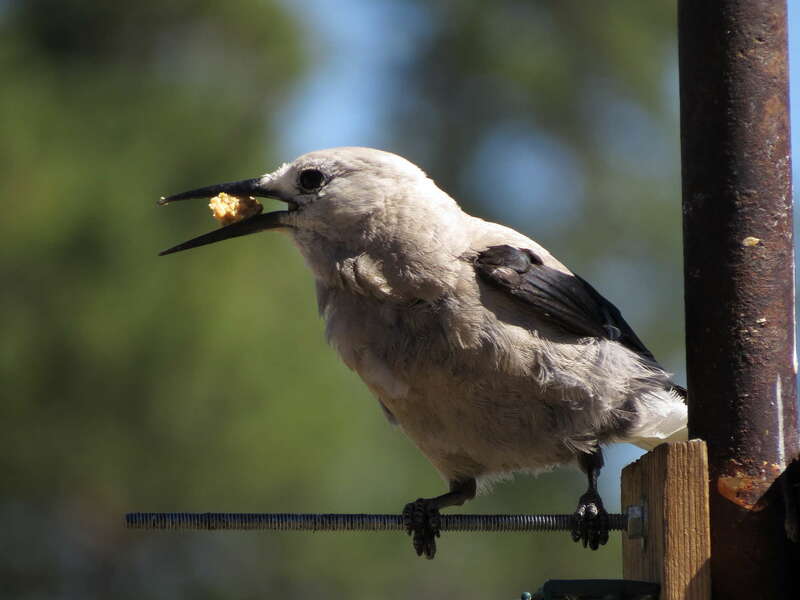 Another noisy Corvid visitor was Clark’s Nutcracker. 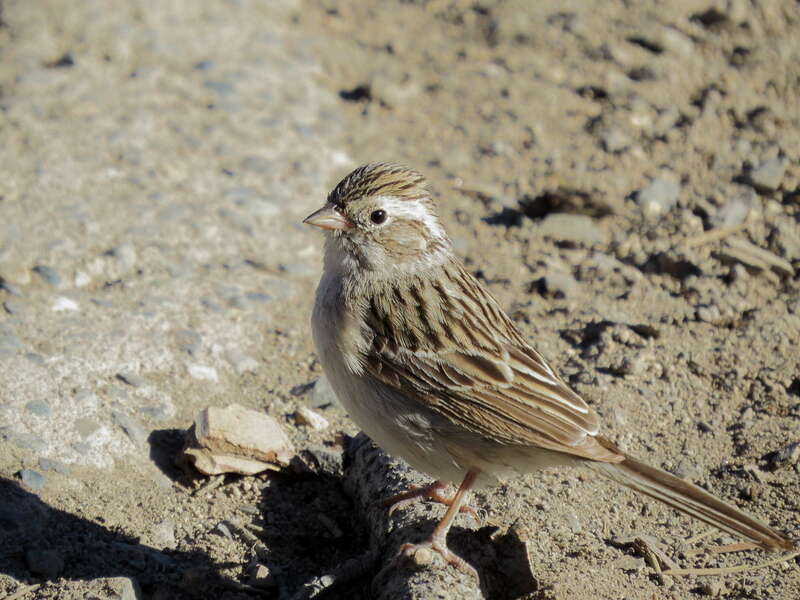 A couple of Brewer’s Sparrows and Chipping Sparrows showed up. 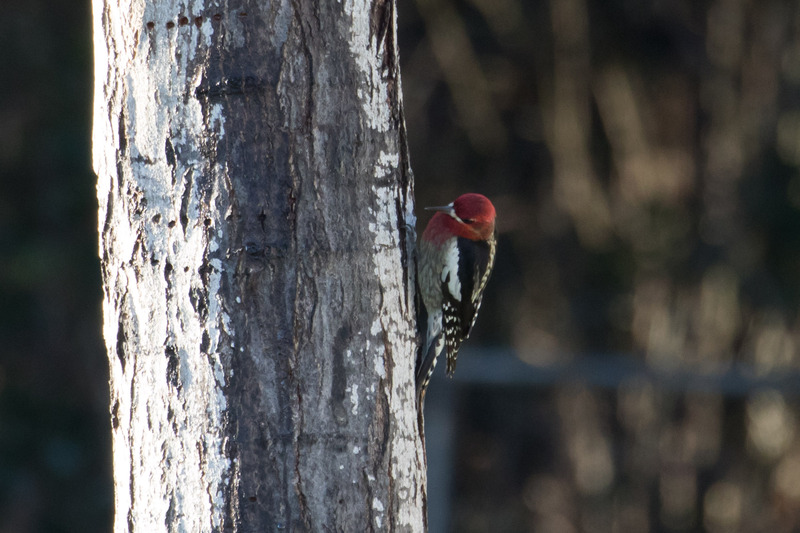 A few woodpeckers came about too. 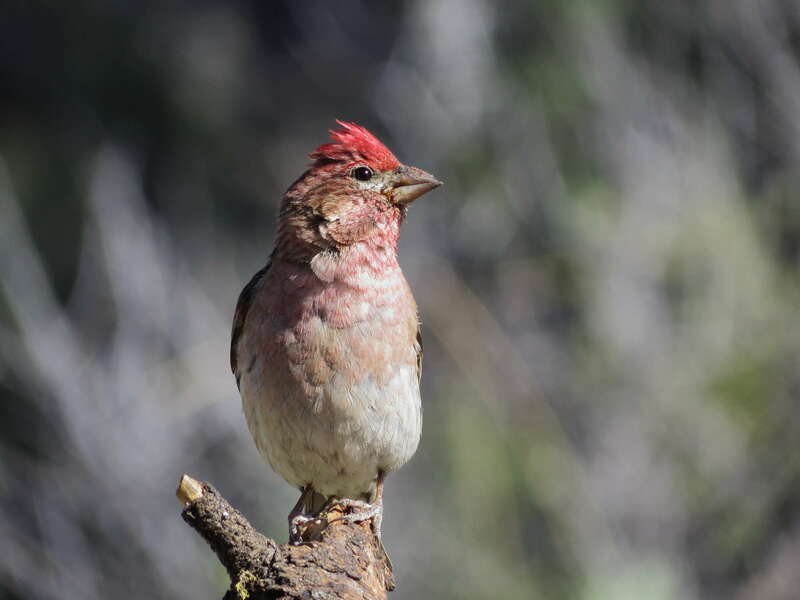 The blinds are a great place to study Cassin’s Finch. 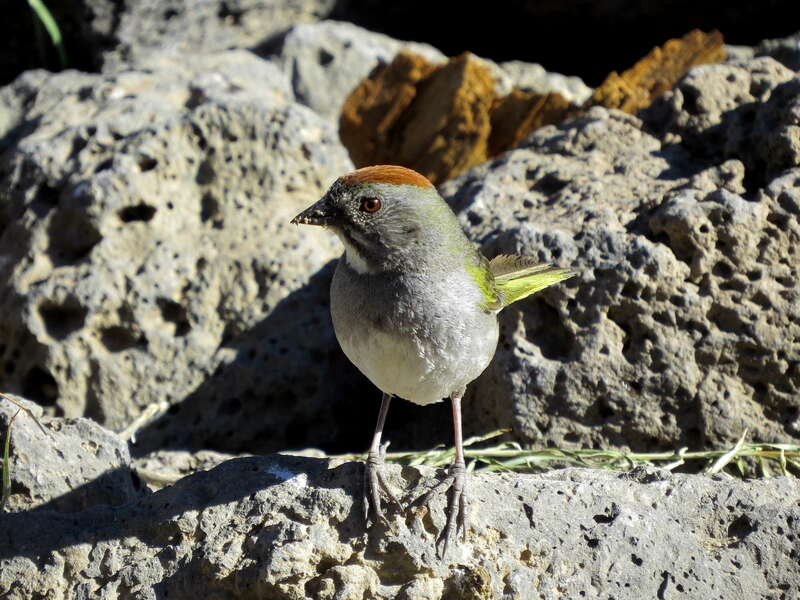 It was easy to observe the crisp, dark streaks on the female’s chests and see the bright raspberry-red crown on the males. 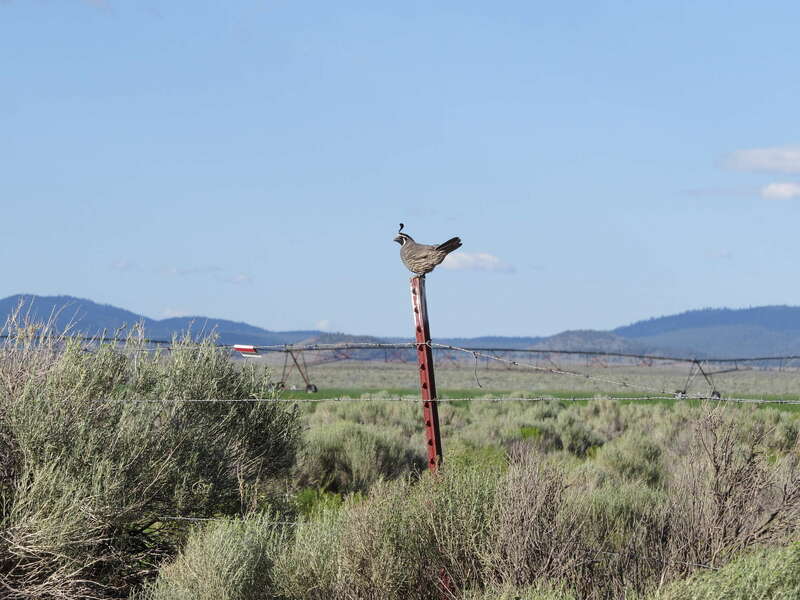 Actually, it was pretty easy to observe all the birds. They come so close. I’m not used to photographing at such a close range and could have let up on the zoom. 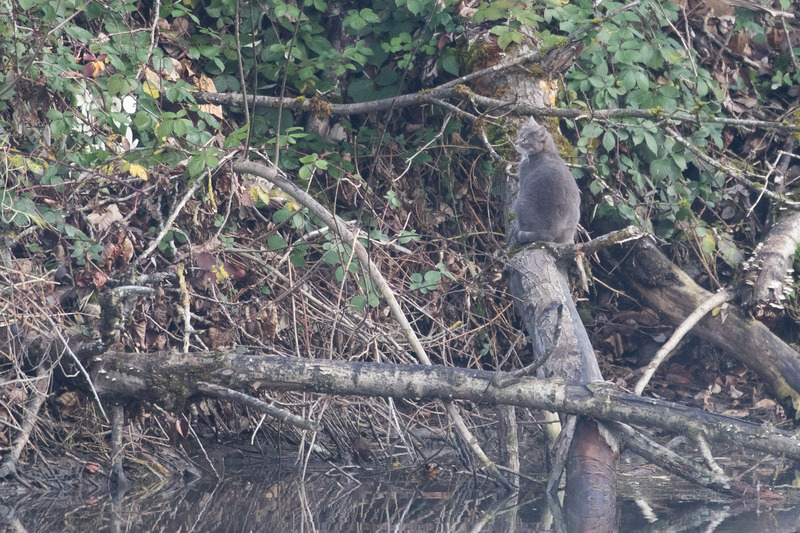 I’m also not used to sitting in one spot while birding or I would second-guess which blind the birds were at. It’s hard to pick one! A couple of times I got antsy and went walking around the forest. 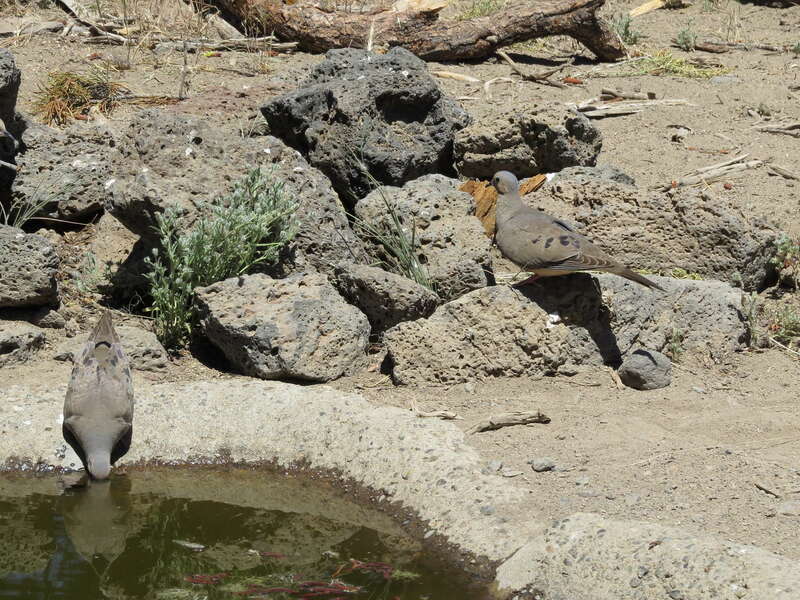 But the birds were either far away or all at one of the watering holes anyways so inevitably, I’d return, sit, and practice patience. 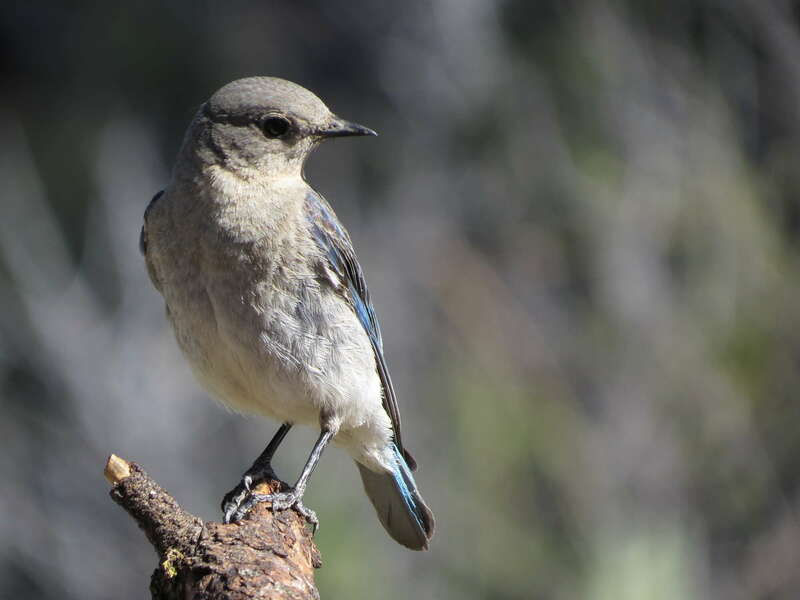 I was rewarded with Mountain Bluebirds. 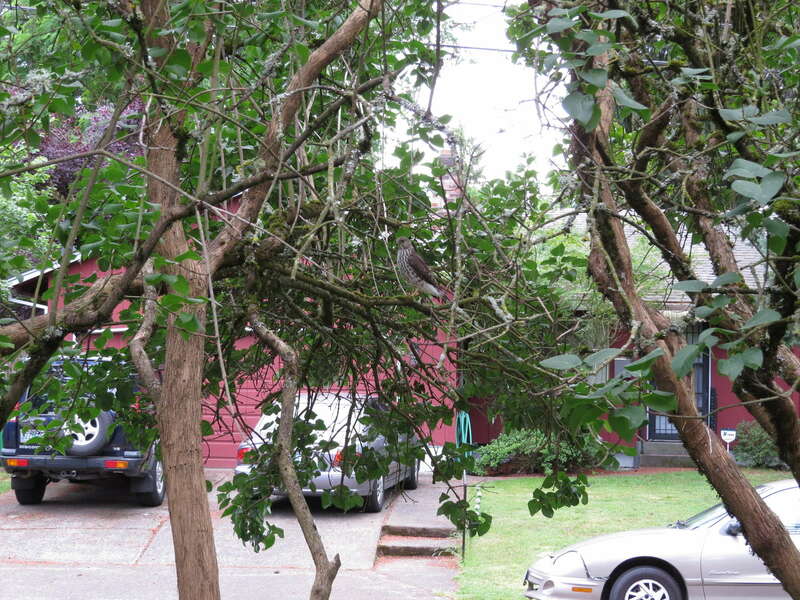 Mourning Doves were the most skittish about coming close to the blinds. 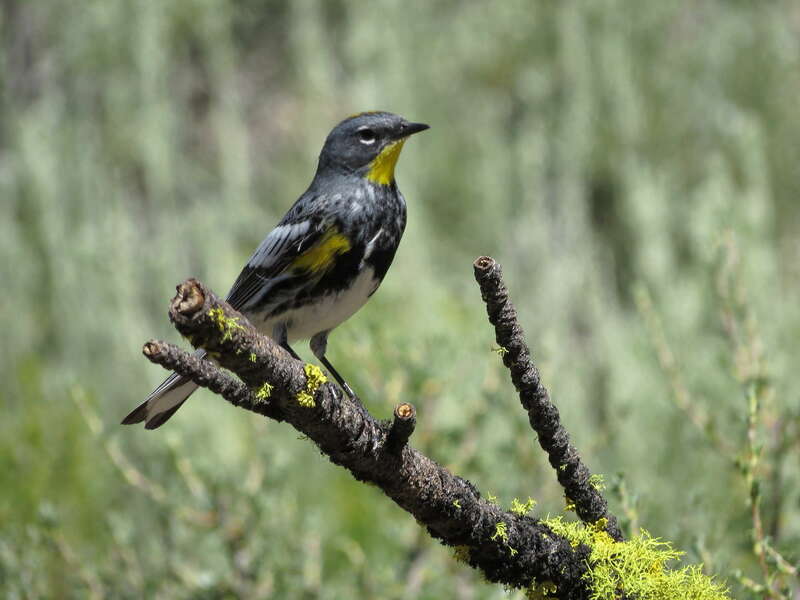 While Yellow-rumped Warblers visited frequently. 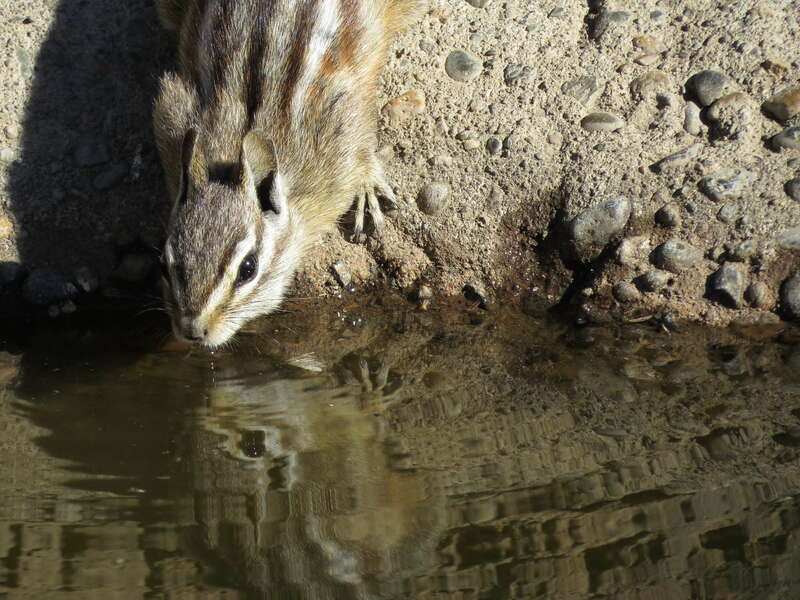 Birds weren’t the only thirsty critters. The blinds exceeded any expectations I had going in. And while I birded for hours on end, Tomas mountain biked for miles around the forest trails. Fun for everyone. 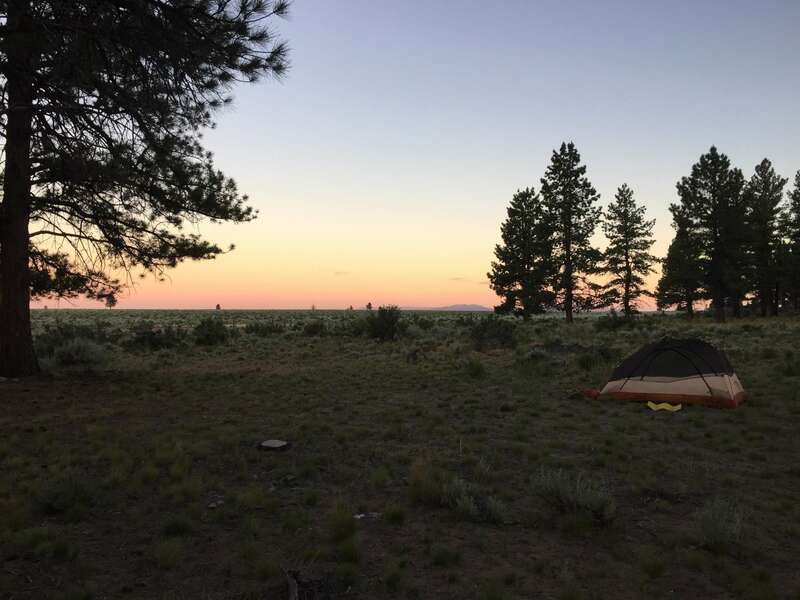 We camped nearby at the edge of the sagebrush sea. 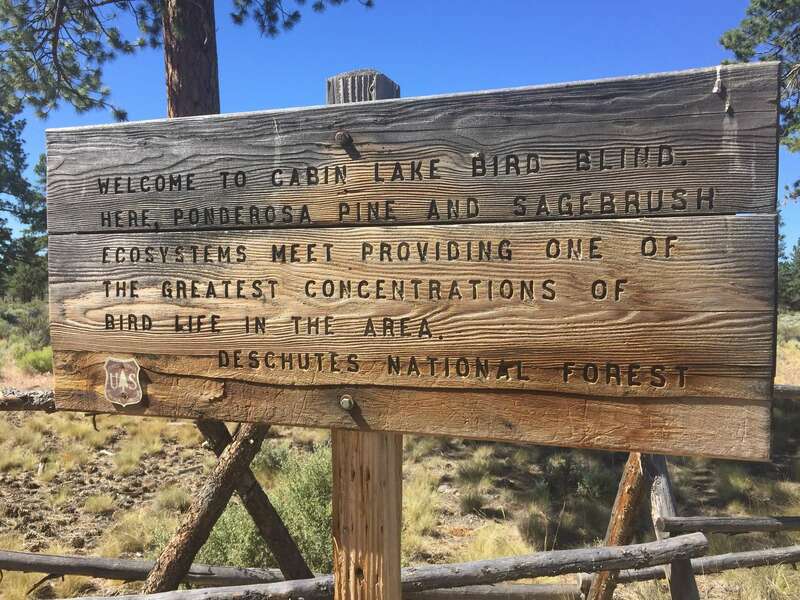 It was one of the most peaceful and fulfilling birdy trips we’ve taken. 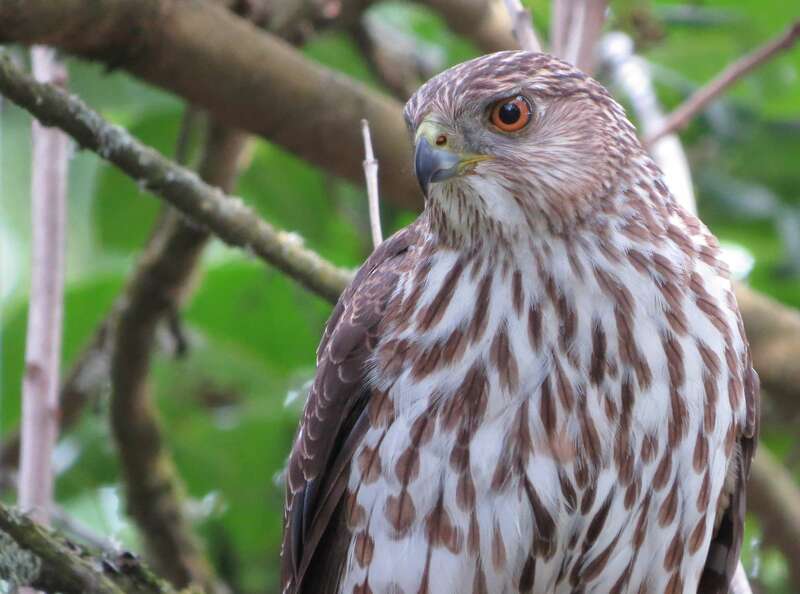 I would highly recommend checking it out and supporting East Cascades Audubon. 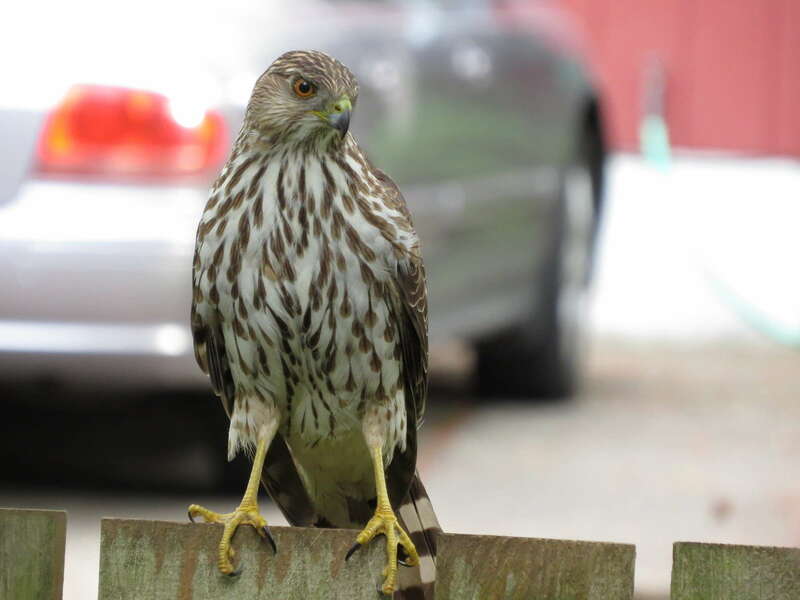 I’ve waited so long to post about my yard birds, I’m afraid most of those sightings have expired. Remember that time it snowed? 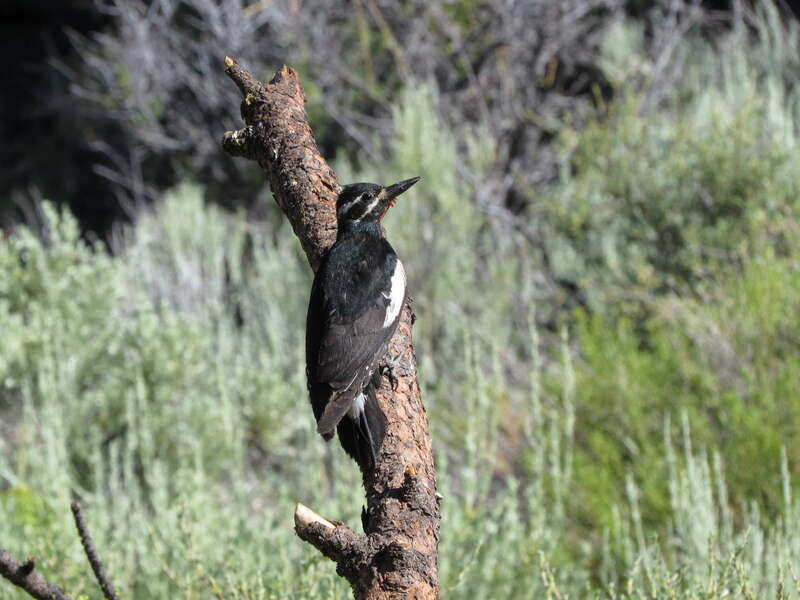 Yeah, well, we had Downy Woodpecker, Northern Flicker, Dark-eyed Junco, Goldfinch, Pine Siskin, Townsend’s Warbler, Anna’s Hummingbird…and a first for the yard, a Varied Thrush! 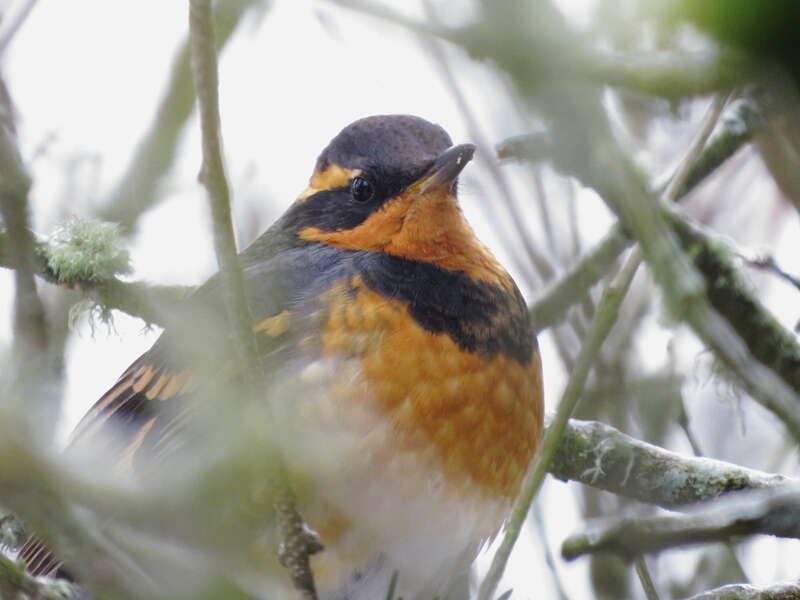 Varied Thrush doesn’t care, he’s long gone by now. 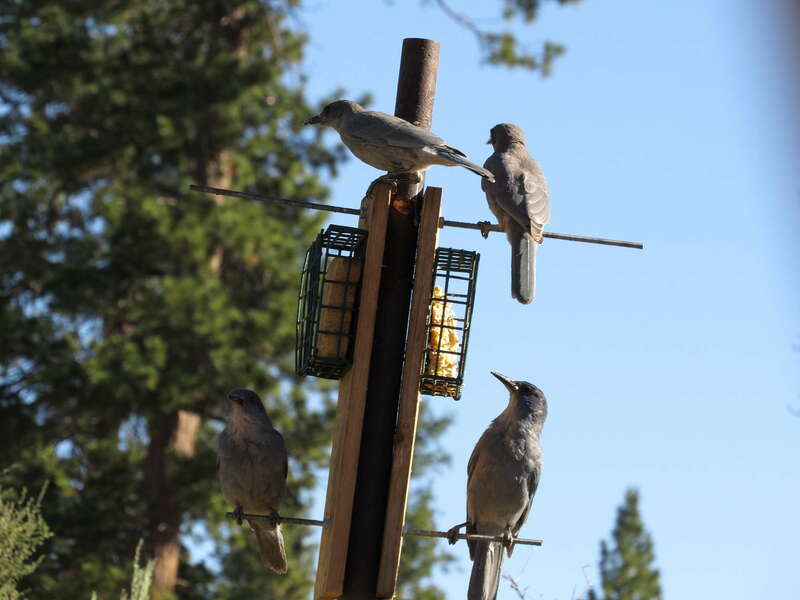 Since winter, I’ve upgraded the suet and bird feeder to Squirrel Buster designs saving me a ton of money on seed. 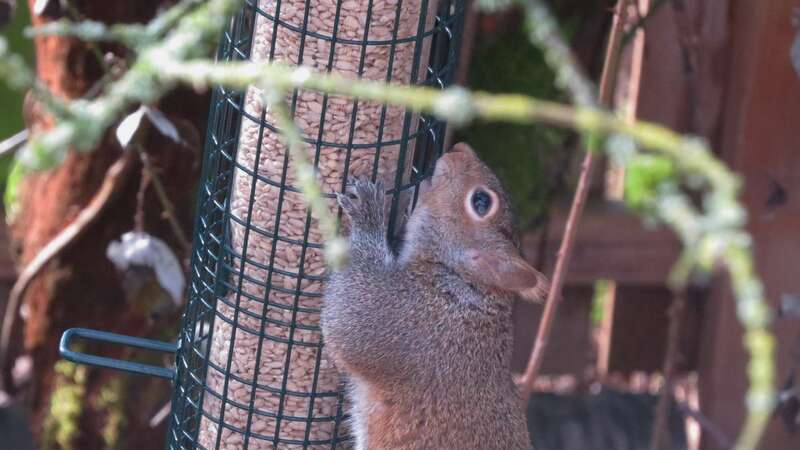 And disappointing the hairy seed snatchers. While making the birds and I very happy. See the chew marks on the cage? And the smiling Red-breasted Nuthatch? 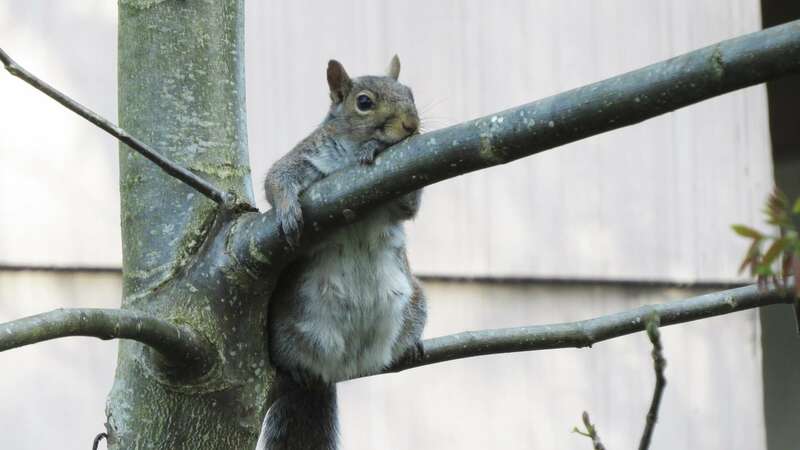 Squirrel Busters FTW. And tonight! 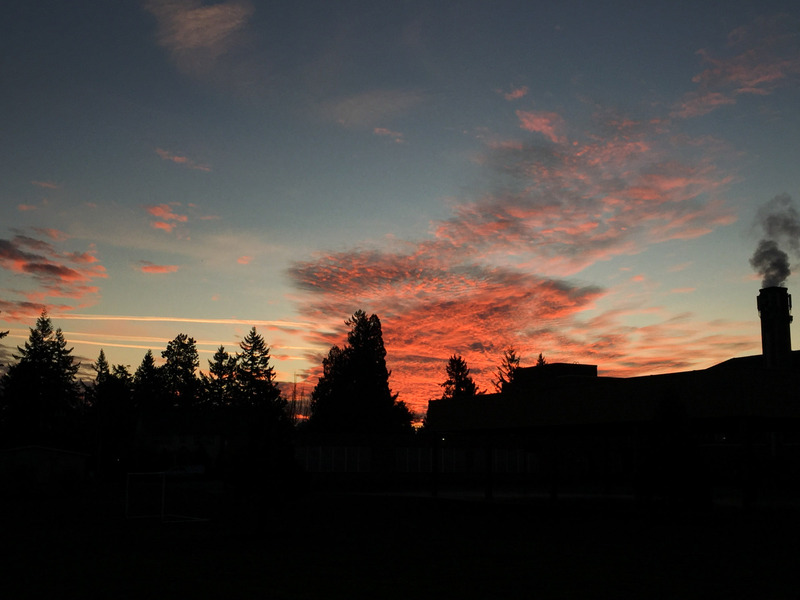 – I was rewarded for taking the compost outside, because I opened the front door to this! Woah! The birds were calling, “alarm! alarm!” I quickly set down the compost bin and grabbed my camera that was thankfully nearby, locked and loaded. 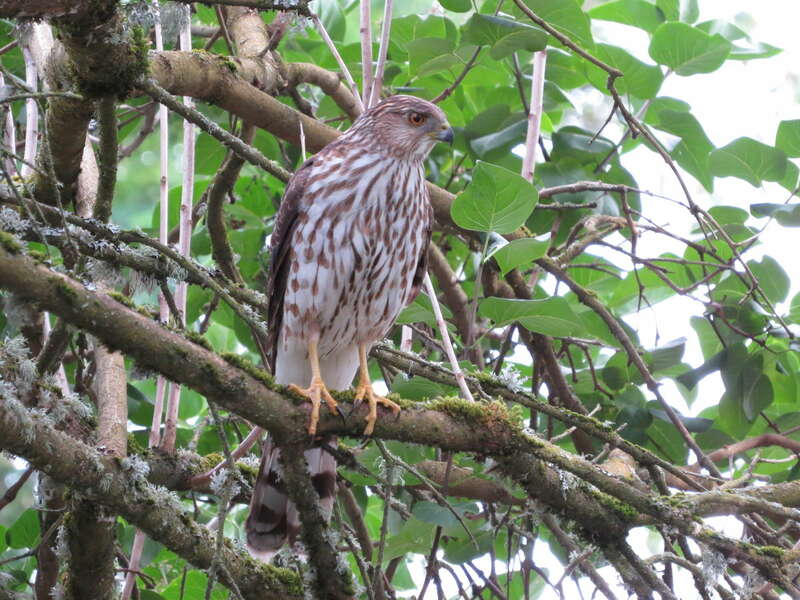 I got a sense from the size and thinner legs that it’s an immature Sharp-shinned Hawk. Here’s a better picture to get a sense of the size of the bird. 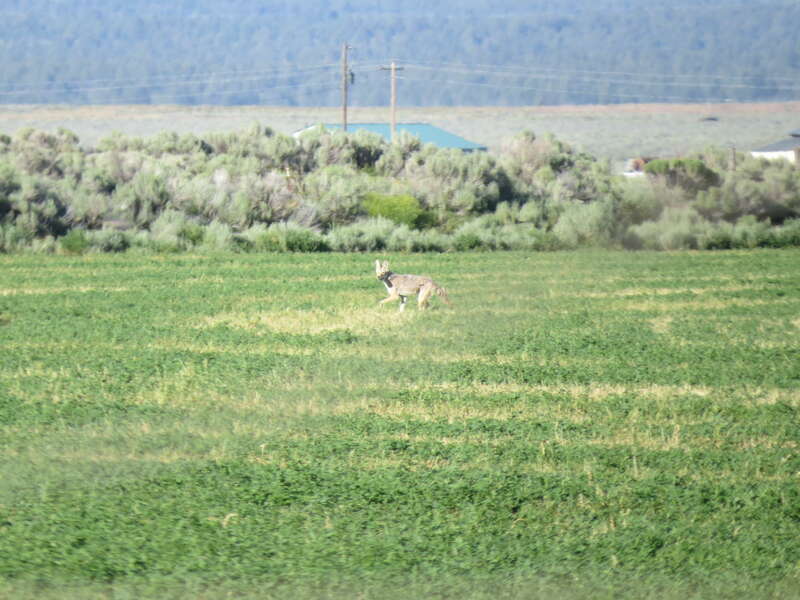 I’d say smaller than a crow, slightly larger than a robin. But as we all know, size lies, so I’m open to interpretation. Anyways, the bird hopped down on the fence and continued the hunt. 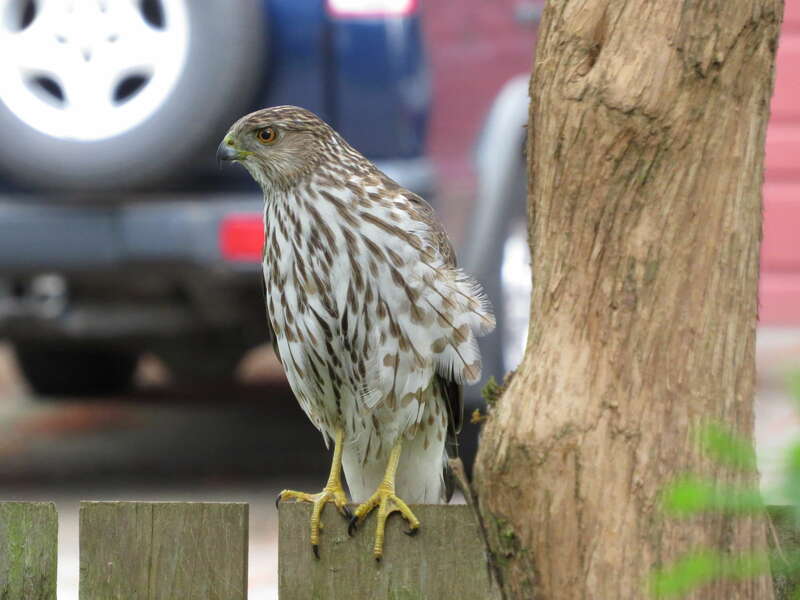 I sat on the floor at my front door admiring its ferocity (with just a hint of guilt knowing that it’s probably there because of the bird feeders). 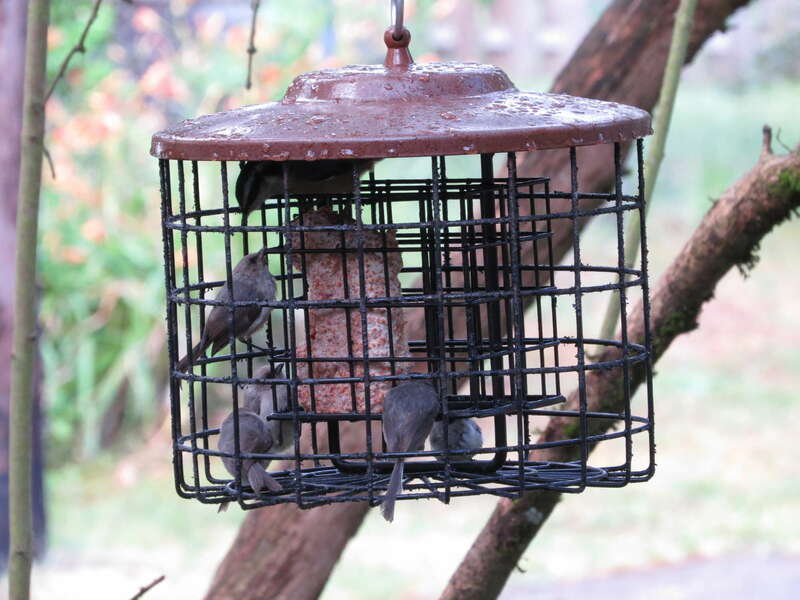 Fortunately, a group of brave chickadees chased it away before anyone got hurt. In my yard at least. Whew, exciting! Glad I forced myself out of the hammock to do a little cleaning. Totally worth it. 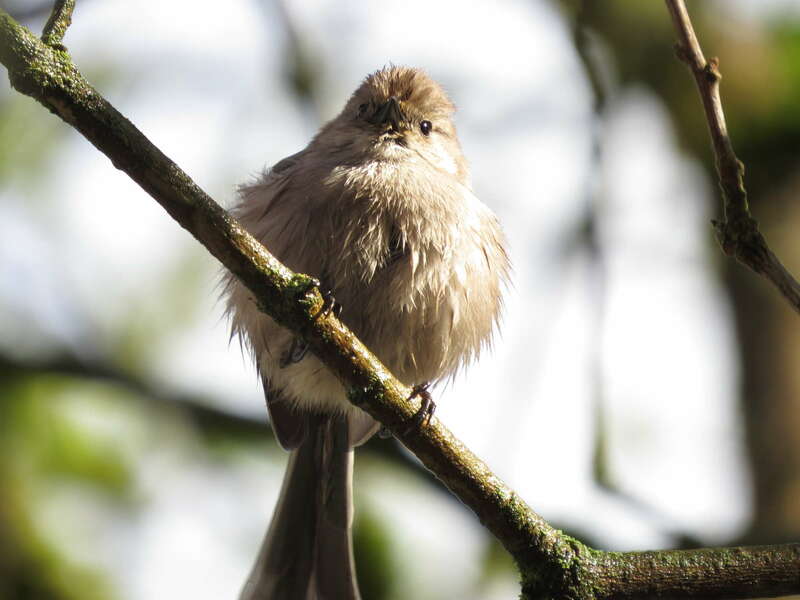 In less dramatic news, here are cute Bushtits! Yard birds are the best.